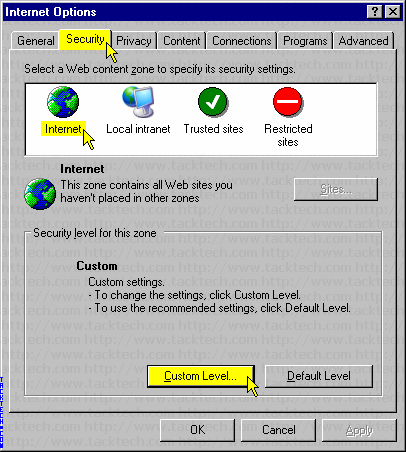 Fix: Frequent "This page contains both secure and nonsecure items" prompts (Internet Explorer 4/5/6) - TACKtech Corp. Problem: Internet Explorer is contantly displaying a dialog titled Security Information when you are viewing pages such as Google Webmaster Tools. Click the Internet Web content zone icon. Scroll to Miscellaneous > Display mixed content.